From Goodreads: Two people are brutally murdered in their summer place on Deep Creek Lake. Suspected of the murders, former child star and one-time teenybopper idol Lenny Frost takes innocent bystanders hostage in a local pub and demands that Mac Faraday find the killer. Can Mac save the hostages and himself from the wrath of the enraged has-been by piecing together the clues in less than twelve hours, or will it be a fatal last call at the stroke of midnight? If you’ve ever wondered about the has-beens, the child stars that disappear from view, who wake up one morning and realize they’ve passed their prime and they’re not even 20 yet, then this is definitely a story for you. 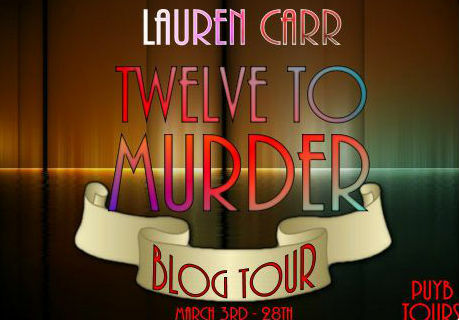 Complete with murder, mayhem, and a mystery that will keep you guessing, Carr once again delivers a punch with her latest Mac Faraday novel, Twelve to Murder. Like all Carr’s other novels, Twelve to Murder glued me to its pages from the very start, and while this murder mystery looks like it may be a cut and dried whodunit, Carr’s expertise keeps readers guessing as the twists and turns unfold. Mac Faraday is perhaps my favorite sleuth of all time. He’s rational and extremely good at what he does, and I always get excited when another novel in the series releases. Carr’s novels maintains an air of mystery yet is offset with humor as Farday’s fiancé Archie and his canine “helper” Gnarly come of the scene. The characterization of all the characters, both stationary and new is always superbly done, and Carr’s latest release, Twelve to Murder, is no different. I love her attention to detail and the many “aha” moments as it all unfolds. The fact that each of these novels can stand alone is also a testament to Carr’s sheer writing ability, though you don’t want to miss out on any of Mac Faraday’s awesome mysteries, so make sure you read them all—Twelve to Murder is as good a place to start as any! Four stars! I received this novel from the author in exchange for an honest review–scoop it up, it’s only 99 cents on Kindle!! “Austin is back this year,” Olivia said in rhythm with the pace she had set for her power walk. Two paces behind his wife, Roland took note of the white stone mansion along the chilly lakeshore. The mansion looked closed up. All was quiet, as it was with many of the estates along the lake in the early spring. With each passing day, the quiet was giving way to the snowbirds came in to roost at their summer homes in the resort town of Spencer, located in the corner of Deep Creek Lake in western Maryland. As the middle aged athletic couple walked briskly on the running trail along the lake, they noted that that mansion was quiet. The only tell-tale sign of change from its winter hibernation was the yacht on the dock in the back. It had not been there the morning before. “I wonder if Janice will be throwing her week long Fourth of July bash with all her has-been clients this year?” Roland asked. “I can tell you right now that I’m not going if that loser Lenny is here.” Feeling her heartbeat slowing down, she picked up her pace. “He’s crude,” she shot over her shoulder at him. He was going to respond that he felt sorry for the least popular of Janice Stillman’s former celebrity client when a black Porsche almost hit the couple rushing pass them and turning sharply into the driveway of the white mansion. “Do you two ever take a break?” the young man shouted at them when he threw open the door and climbed out of the sports car. “Never,” Olivia answered with a frown at Derrick Stillman’s apparent lack of self-discipline displayed in the slight stagger in his pace, and clearly having slept in his clothes, or maybe not slept in them, but clearly having worn them the day before judging by their wrinkled and disheveled appearance. “Party last night?” Roland asked. “I can imagine,” Olivia said in a bland tone. “She’s got a body to die for and she’s crazy about me.” With a swagger in his walk, he made his way to the front door. “Come along, Roland,” Olivia ordered. The couple continued on their way. They had only made it to the other end of the property before Derrick’s screams stopped them. The young man was running out the front door and dropped to his knees in the yard when they made it back to the driveway. Shrieking, the young man pointed to the door. His face white, Roland came running back outside. “Who—“ she asked with tears in her eyes. 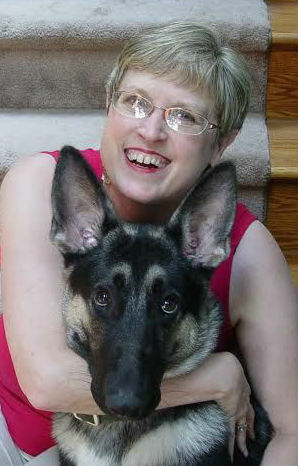 Visit her author website at www.mysterylady.net. Thank you so much, ABookVacation, for the glorious review of TWELVE TO MURDER. So glad you enjoyed it and thank you for hosting me on your blog!